A Nairn business group has written to local councillors demanding answers to their questions about when and how parking charges will be introduced in the town. 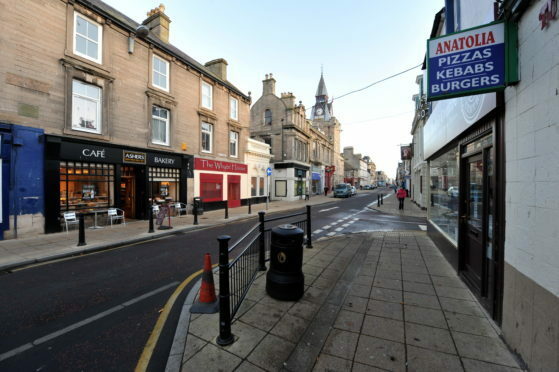 Nairn Business Improvement District (NairnBID) represents 280 businesses and says it fears the introduction of parking charges will escalate the decline of the town’s High Street. The organisation points to Angus Business & Retailers Association’s Save our High Street campaign, which says a local councillor’s survey shows Angus town centre traders reporting losses of almost 40% since parking charges were introduced. NairnBID’s Michael Boylan said they are still waiting for the further consultation around parking charges promised by Highland Council chief executive Donna Manson and budget leader Alister Mackinnon. Mr Boylan also pointed out the ‘mixed picture’ described of Nairn in the council’s recent town centre health checks. The check showed Nairn’s retail vacancy rate higher than the Highland town centre average, and pointed out a number of other shortfalls in the town’s offering. Councillor Tom Heggie, chairman of Nairnshire Committee said the engagement process would be followed this Spring. He said: “The budget leader stated very clearly at the community engagement session in Nairn in November that it would be for local communities to make choices on how income is raised and this includes how income can be spent locally.